Get all three books right now at a discount! IMPORTANT INFORMATION TO READ AND UNDERSTAND BEFORE YOU PLACE YOUR ORDER. Adobe Acrobat Reader is required to read all eBooks sold through this website. Please make sure you’ve installed it BEFORE you attempt to download these eBooks. It can be downloaded for FREE by simply going to https://get.adobe.com/reader and installing it onto your appropriate device. Since devices vary, it’s up to the owner of the device to find Adobe Acrobat Reader once it’s downloaded. Check your Downloads folder or your Applications for the download, or it may just show up on the screen of your device. The eBook link(s) on the purchaser’s receipt will allow three downloads per link for one day (24 HOURS) and then expire. Please do not purchase a book until you are ready to download onto your target devices. The download links are intended for the purchaser ONLY. There are no refunds. Please check your email and junk mail immediately after placing your order to locate your customer receipt containing the download links. The eBook links may take a couple minutes to fully download, so please be patient. This process is all very simple, but If you are inexperienced with any of this, you might what to find someone who can help you. The author’s books are registered and copyrighted through the Library of Congress. The purchaser has read and understands the copyright notices displayed on this website and agrees to uphold the author’s conditions pertaining to her exclusive copyrights and understands her books are protected by Federal Copyright Laws. 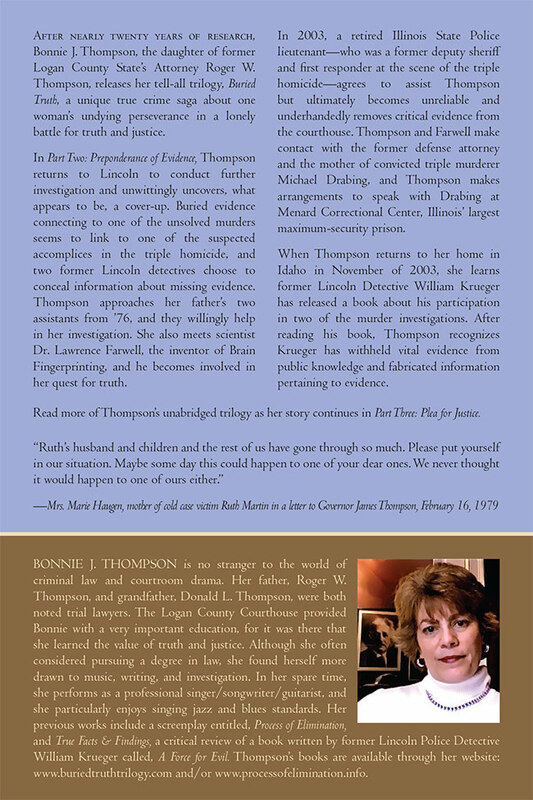 After nearly twenty years of research, Bonnie J. Thompson, the daughter of former Logan County State’s Attorney Roger W. Thompson, releases her tell-all trilogy, Buried Truth, a unique true crime saga about one woman’s undying perseverance in a lonely battle for truth and justice. 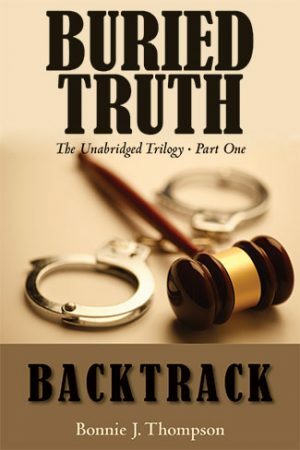 In Part One: Backtrack, Thompson takes the reader back to 1976 when she was a 19-year old deputy circuit clerk in the Logan County Courthouse. That year a series of murders unfolded in her hometown of Lincoln, Illinois, and she became a witness to suspicious events and circumstances relating to the Schneider triple homicide, a Manson copycat crime. Only one 21-year-old man was charged and convicted of the slayings. Two other men Thompson suspected as accomplices were never implicated and went on to become attorneys. Years later in 2001, Thompson’s father dies a disturbing death, which takes her back to Lincoln. Following her father’s memorial, she approaches Logan County State’s Attorney Tim Huyett and tells him of her longtime suspicions regarding the triple homicide. She is granted access to the old murder case files and begins her own investigation into not only the Schneider murders but also the murders of Michael Mansfield, Ruth Martin, and Jay and Robin Fry. 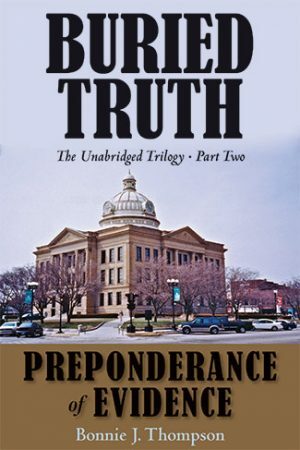 Read more of Thompson’s unabridged trilogy as her story continues in Part Two: Preponderance of Evidence and Part Three: Plea for Justice. 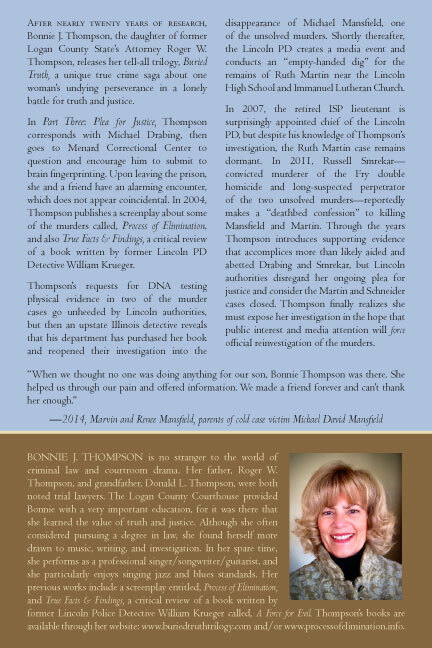 Bonnie J. Thompson is no stranger to the world of criminal law and courtroom drama. Her father, Roger W. Thompson, and grandfather, Donald L. Thompson, were both noted trial lawyers. 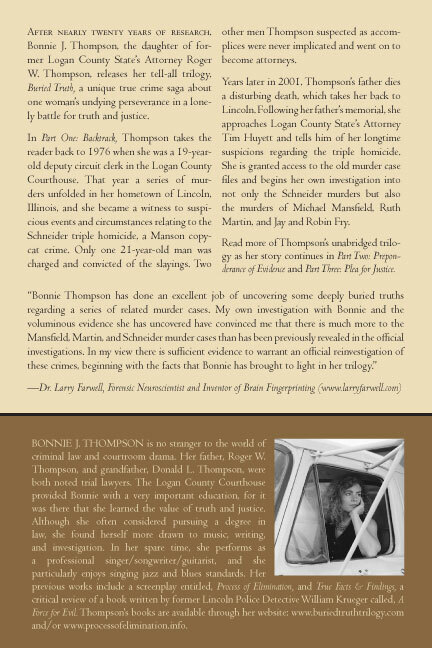 The Logan County Courthouse provided Bonnie with a very important education, for it was there that she learned the value of truth and justice. Although she often considered pursuing a degree in law, she found herself more drawn to music, writing, and investigation. In her spare time, she performs as a professional singer/songwriter/guitarist, and she particularly enjoys singing jazz and blues standards. Her previous works include a screenplay entitled, Process of Elimination, and True Facts & Findings, a critical review of a book written by former Lincoln Police Detective William Krueger called, A Force for Evil. Thompson’s books are available through her website: www.buriedtruthtrilogy.com and/or www.processofelimination.info. 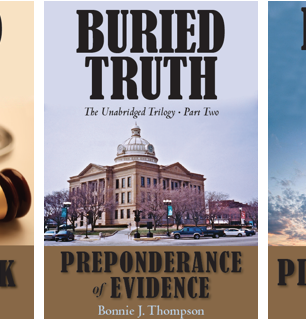 Buried Truth Trilogy is a more than a series of (three) books investigating the linkage of a series of murders that have never been pursued by authorities. 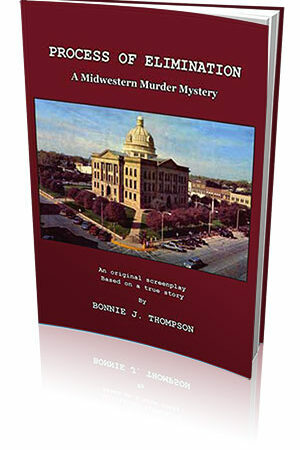 This is a story about the author’s life-long journey to solve these mysteries and achieve justice for the victims. 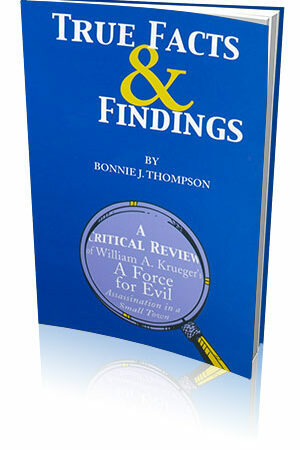 Author Bonnie Thompson takes the reader on an investigative journey to follow the evidence and, with a plethora of detail, allows the reader to draw his/her own conclusions. Yes, Bonnie does share her views and interpretations of the evidence, but the care and detail she provides will allow you to draw your own conclusions. Buried Truth Trilogy is an exhaustive presentation of facts and data the author has gathered over nearly 40 years of work on these cases. While there are times the books may appear to contain too much detail, these are unabridged works and provide the reader with ample opportunity to dig into the evidence and think about the implications. There were numerous instances where I sat-up in my chair and uttered “oh sh**!” while reading this material. The books are fascinating. This is definitely material for a TV mini-series. A movie could never do this work justice. I grew up in Logan County, Illinois and knew most of the victims, as well as one of the murderers. Bonnie’s work opened my eyes to possibilities I had never considered. Her father was the District Attorney at the time of these crimes and successfully prosecuted these cases, with the exception of the still outstanding accomplices. Her father will be forever regarded as the most successful DA in that county’s history. The second most successful DA in Logan County’s history will be the one that reopens these cases and solves these mysteries. If you love mystery and the opportunity to play detective, you’ll love Buried Truth Trilogy. 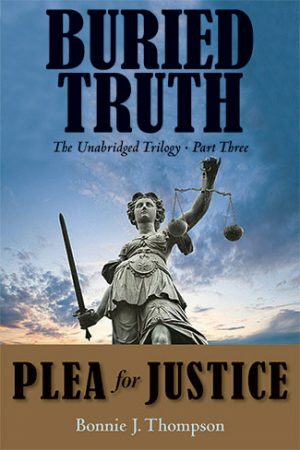 I read all 3 of Buried Truth Trilogy and am fascinated at the facts Bonnie has provided regarding the Michael Mansfield and Ruth Martin disappearances’, the Schneider Triple murder and the shotgun deaths of Jay and Robin Fry. I lived in Lincoln during those fateful months in the summer and fall of 1976 and it still resonates in my mind how these events took place in such a short time span. Bonnie uncovers evidence and facts that haven’t been known or needs to be looked at again that sheds new light on these events. Bonnie spent a great deal of time, money, and knowledge to enlighten anyone who reads any of these books. There are still a lot of unanswered questions that demands these investigations be re-opened and new facts to be followed up. She has uncovered evidence that needs to be re-examined. I was so enthralled with Bonnie’s discoveries that I’m re-reading the trilogy because I’m sure there are facts and events I didn’t discover on the first read. Drabing could not have driven himself home and not leave any blood or grass, etc in his car. It’s highly unlikely that Smrekar could put Ruth Martin’s wounded or dead body in the trunk by himself. Very probable he had help so he wouldn’t have to get out of the car to close the garage door. Why was Erlenbush able to remove evidence? Not only does Bonnie write in great detail about these murders, but she also explains her painful losses, her husband and her father. So much pain and emotion Bonnie has documented very eloquently, at times it’s almost too hard to read. She has put her heart, soul, blood, sweat and tears into this trilogy. Bonnie spent her own money (purchasing transcripts, traveling between Lincoln IL and Sandpoint ID, etc) researching and developing this trilogy. And Bonnie was witness to an alarming number of events that took place involving Drabing and his close friends. It’s almost like she was placed at these events to discover these facts that weren’t uncovered back in 1976. Bonnie is witness to the confrontation between Phyllis Schneider and Hanley, Drabing, and Jones on the July evening of Nancy’s party. She is witness to the first confrontation between Lloyd and these 3, then again later that evening when the 3 returned to the Schneider’s home. Bonnie is questioned the morning of Aug 20 by her father the States attorney regarding the July party. She is present the morning of Aug 18th when Jones states they were out all night until 6:30 a.m.
Bonnie is with Jones the same afternoon when he states ‘something big and something bad’ is going to happen. I implore all who read this Trilogy or anyone who was living in and around Logan County at that time to sign the petition to re-open these cases and let justice be finally served.